We are very pleased to offer a stunning Tahiti Blue Cooper Sportspack fitted with the very sought after full length electric sunroof. 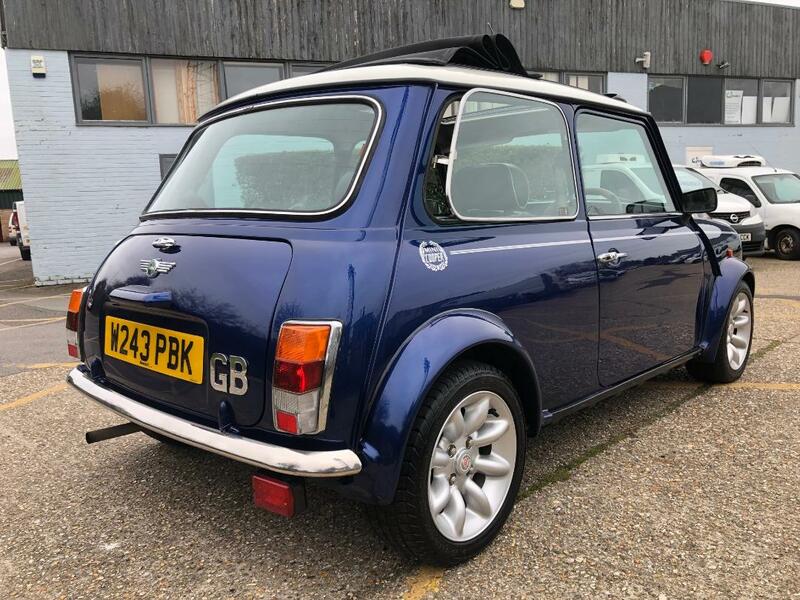 Tahiti blue is surely one of the best colours for a Sportspack Mini as the colour just sets off the lines. 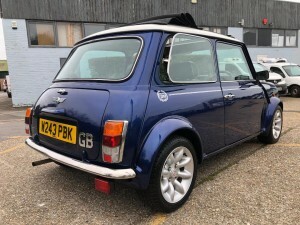 This a factory Sportspack registered in March 2000 so in the last year build year for the Classic Mini and has only covered 51k in 19 years and is accompanied with a service folder and every MOT from new. 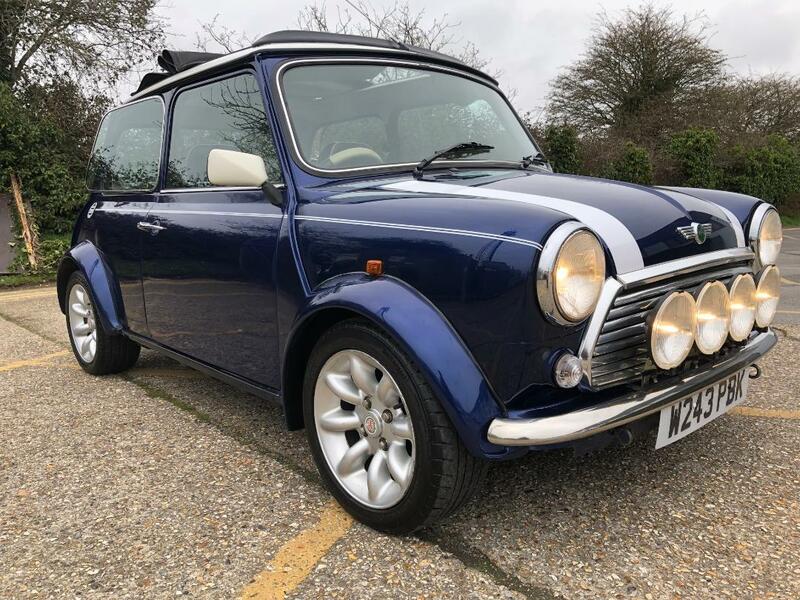 This Cooper has been well maintained throughout its life and is a wonderful example out on the open road.The 1275cc engine is very smooth and delivers progressive power and is mated to a smooth gearbox. This is a Multi point fuel injected Mini or MPi as they known, they offer all the charm of the Classic Mini with a modern twist, just turn the key and off you go. 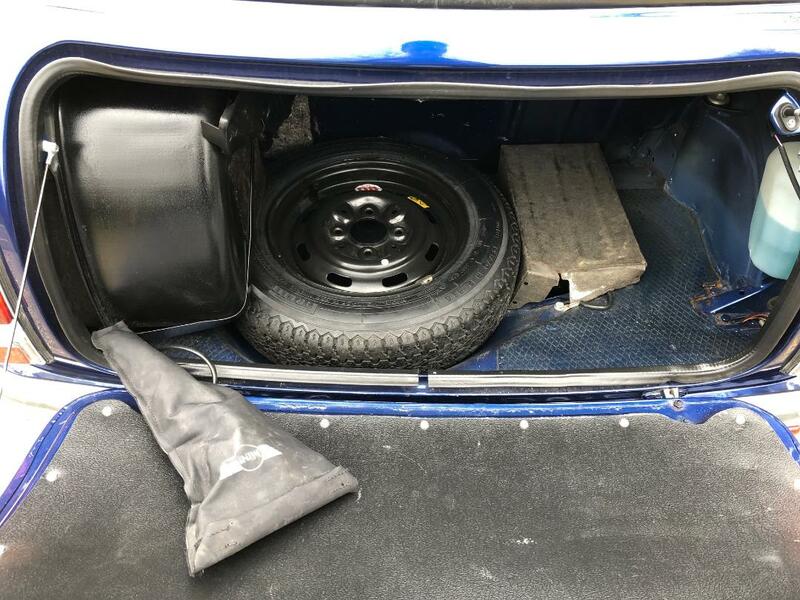 They also feature a drivers airbag, side impact beams and an alarm and immobilser. 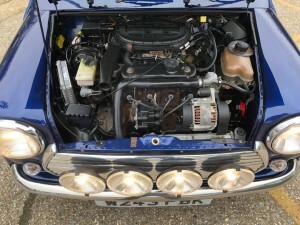 MPi Minis also have taller gearing making long disatnce cruising a breeze. 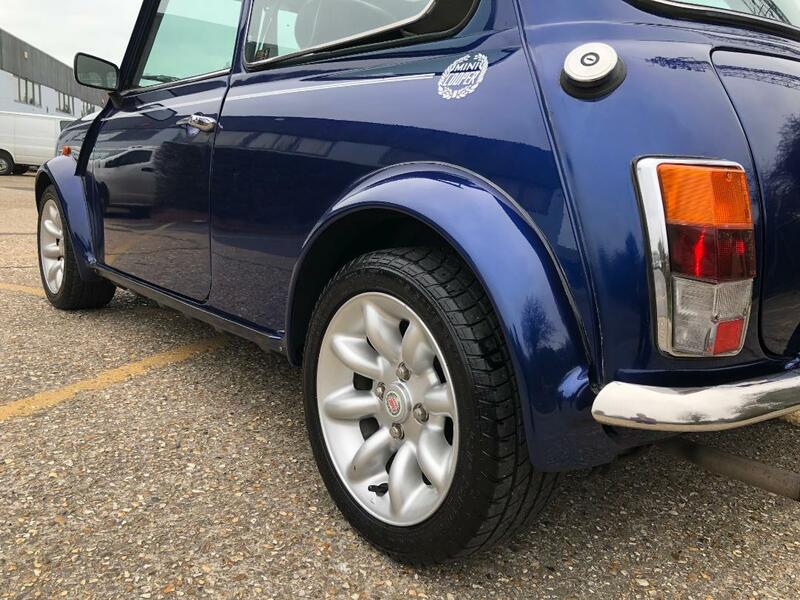 Multi point Minis are very sought after as they are just so useable and more importantly great fun to drive and with this example, at the touch of a button the driving experience is transformed once the sunroof is opened. This Cooper has a wonderful interior. 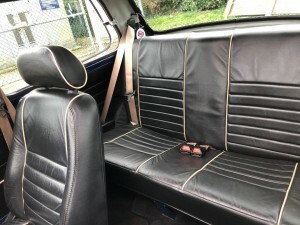 The black leather seats are in fantastic original condition as are the carpets and roof liner. It has a 6 clock walnut dash with Magnolia gauges and an upgraded Alpine stereo unit with additional door speakers, this model also has rear seat belts. 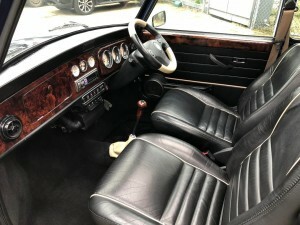 It really does have a luxury feel inside. As you can see from the pics this Cooper has gleaming paintwork and it belies its near 20 year vintage. The shell is very well preserved with solid floors, the correct vented sills and its original front wings and front panel. 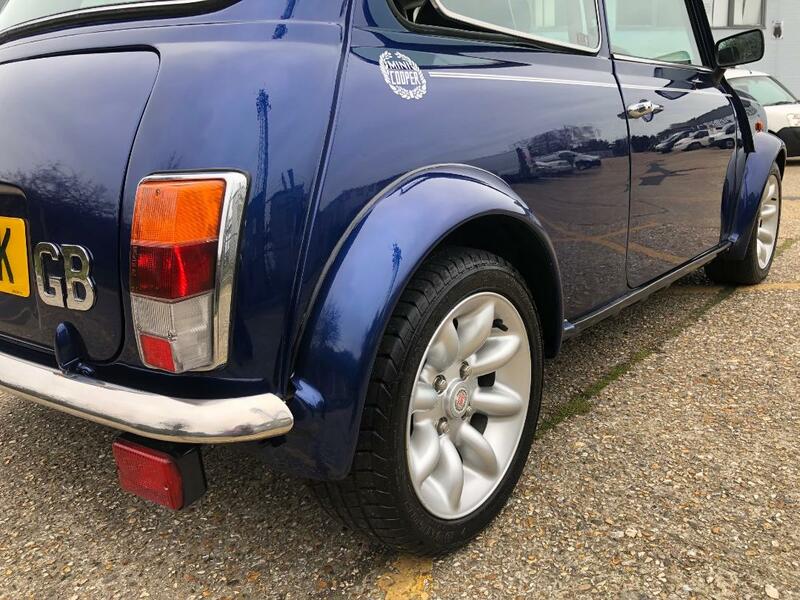 It has had a recent rear subframe and overall presents very well, and it certainly gets lots of attention. 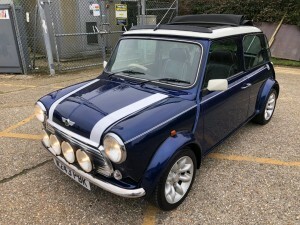 This is a very good looking Mini indeed. 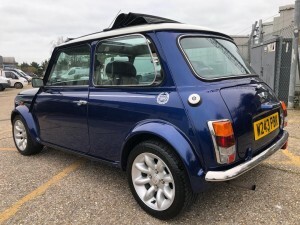 This Cooper is fully serviced, has a long MOT and is ready to go and be enjoyed. We have also teamed with Pegasus finance helping you to spread the cost of your Classic. The easy to use link is on this website.